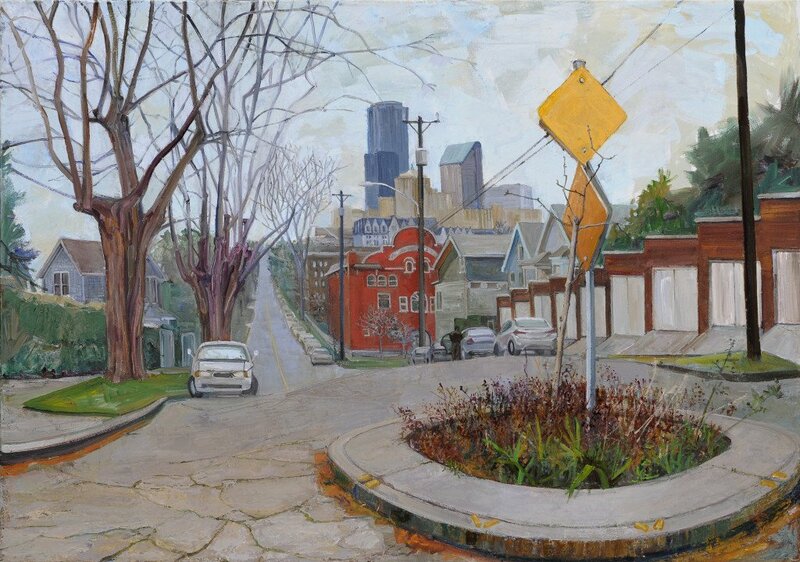 Traffic Cookie and Lighthouse Gospel were completed a year ago for a show at Sisko Gallery in Seattle September 2012. (And may still be viewed there, on request!) 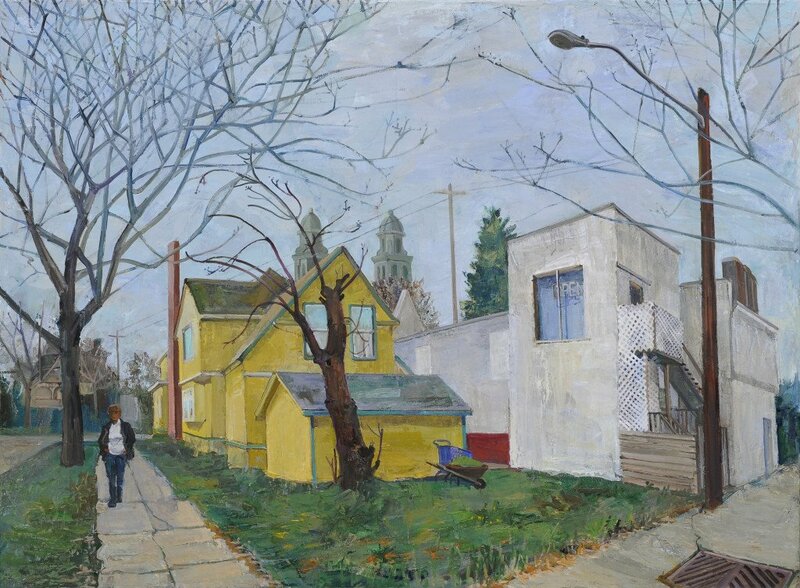 Both were inspired by Seattle’s Central District, where I live and like to take daily walks with my husband. In each case, I was attracted by a compositional element that seemed to provoke the spread of paint: the white wall which occupies the middle of Lighthouse Gospel, the line of “garage” rectangles that march toward the center of Traffic Cookie. Something in these things caused the virtual tubes of paint that have come to inhabit my mind to hover about, heat up and hum.